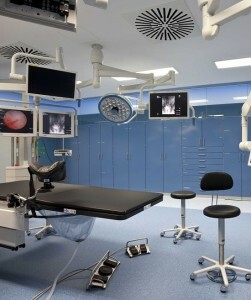 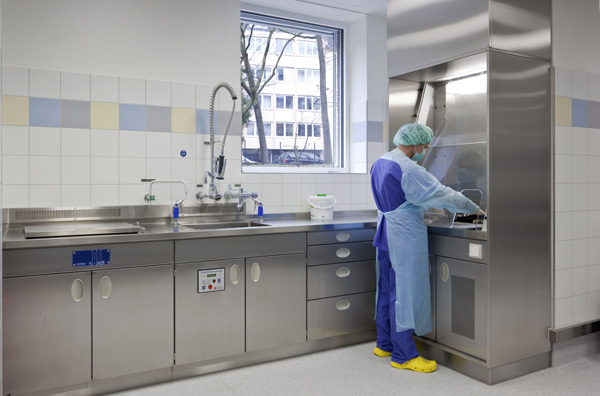 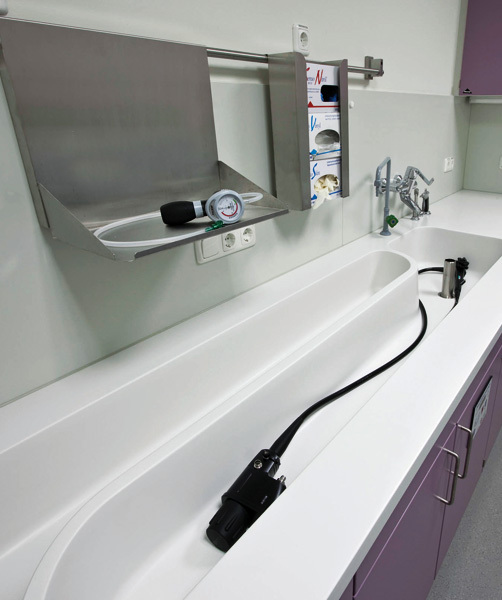 operating rooms, CSSDs, general wards, endoscopy, cardiology and gynaecology stations, clean rooms and dental clinics. 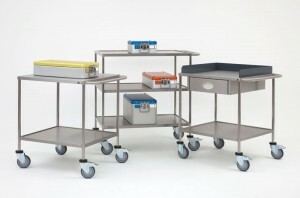 BECKER steel furniture with a long service life even in high use conditions. 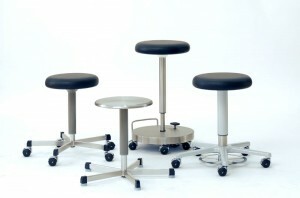 Special-purpose furniture by BECKER to meet the special challenges in clinics and hospitals. 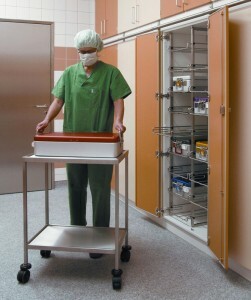 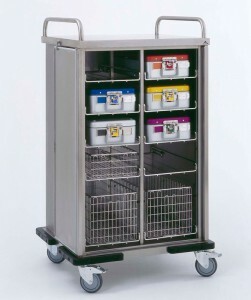 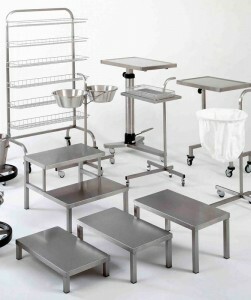 Becker anaesthetic and dressing trolleys are very mobile, quick to use and fulfil their purpose perfectly. 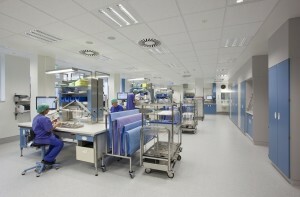 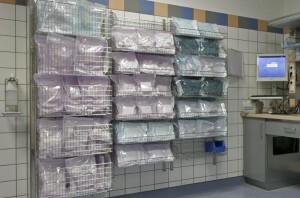 BECKER system for sterile goods, designed from scratch as a universal system for the OR sector, re-processing and CSSD. 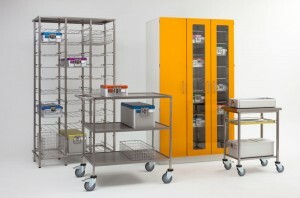 Our shelves and packing tables can be used for many applications in CSSDs, general stores and OR storerooms. 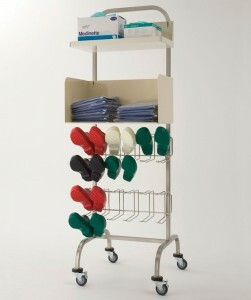 Our flexible shelf system includes freely combinable accessories for wall-hook bars and hook trolleys, ideal for any workplace. 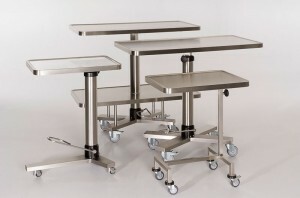 BECKER mobile tables are manoeuvrable and easy to steer while remaining sturdy and hygienic. 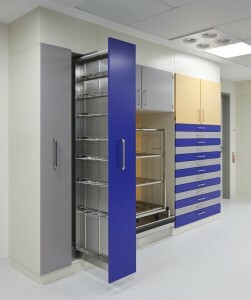 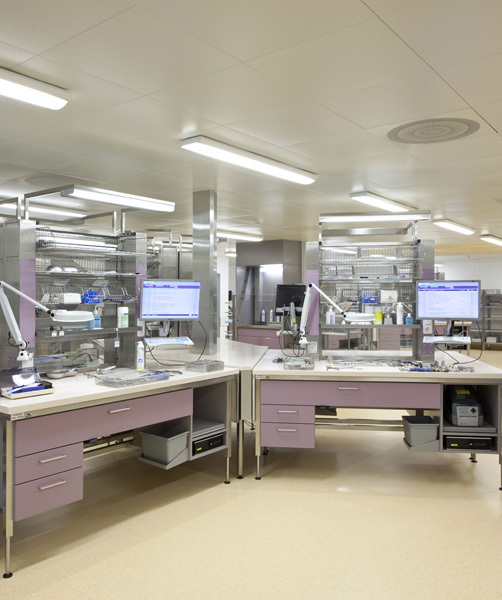 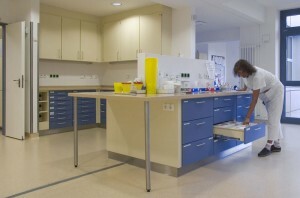 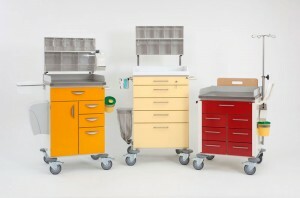 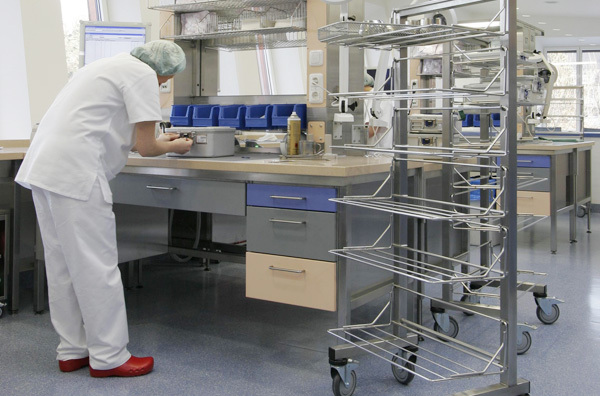 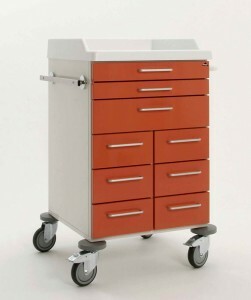 BECKER’s mobile furniture for operating rooms, outpatient departments and CSSDs make work so much easier. 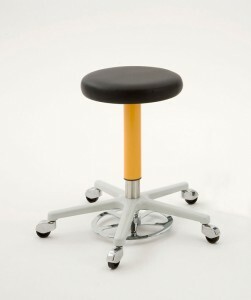 BECKER ergonomic stools and chairs: contoured to the body to ensure a relaxed seating position, and with perfect seating adjustment.